My diet during the row will be made up of freeze dried meals (like above), snack bars, carb/protein powders, and supplements (arthritis, skin, basic vitamin, joint). Total ~ 6000 calories per day! The average ocean rower will lose 15-20 lbs over the course of an ocean crossing. This is about 10% body weight for most rowers (not just body fat). Over the past year I've gained 20+ pounds to make sure I'm still a healthy weight by the end of the trip. Summer 2017 weight 165 lbs ; weight as of (April 2018) 187 lbs. The weight gain is comprised of 50% body fat increase and 50% muscle increase. In addition to the detail provided here, I've written multiple blog posts about food planning. Check out the blog, here. The remaining 2000 calories are broken up between liquid snacks and bar snacks. We will be consuming a liquid snack 5 times a day consisting of ~180-200 calories per serving. Drinking some of the calories will cut down on the amount of chewing required to consume 6000 calories and will encourage hydration as water is required for mixing both drinks. Bar snacks aren't your typical bar snacks (peanuts and pretzels), but they're not far off. We will be consuming these snacks at the same interval and size as the liquid snacks. 5 servings, 200 calories each serving. How do you learn and train for this type of rowing? I started with a local 'learn to row' class at Hampton Roads Rowing Club (HRRC) in Norfolk, VA. When I moved to Richmond, VA, I joined the local rowing club, Virginia Boat Club (VBC). Below is a clip of a typical day of rowing in the summer. I'm on the far right of the video in the white shirt. Typical workout is 10-15kms. Also check out my page on Endurance Rowing. 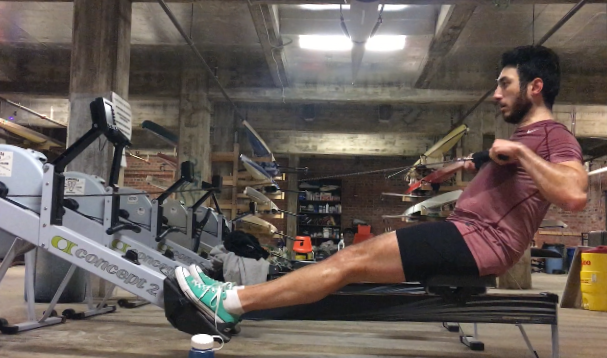 During the winter and any time you can't go out (storms, river is at flood stage, debris coming down river) you would row on an ergometer (an 'erg' for short). My normal workout is a 15km continuous row at 2:00 per 500 meters limiting myself to a max of 16 strokes per minute. Early 2018, getting my meters in alone in the boathouse. Joining a rowing club is far from the only way to become an ocean rower. 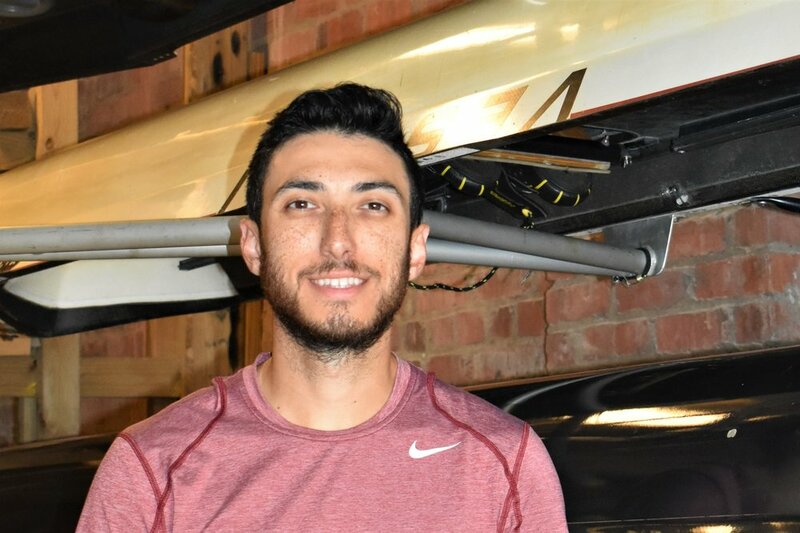 Many other disciplines can bring much needed skill sets to the table and prove to be as valuable as knowing proper rowing form. Some other examples would be sailing, mountain climbing and other expedition sports, or even project management. Having great project management skills makes this multi discipline type of event much easier than just knowing how to row hard.